Under Illinois law, professional negligence is that “committed by a doctor, nurse, healthcare provider, hospital or other institution” and is “the failure to do something that a reasonably careful physician, nurse, medical provider, hospital or other institution would do, or the doing of something that a reasonably careful physician, nurse, medical provider, hospital or other institution would not do, under circumstances similar to those shown by the evidence.” This is the first paragraph of the Illinois duty jury instruction of a healthcare provider or institution. See: Ill. Pattern Jury Instruction - Civil 105.01. The jury instruction on professional negligence continues on by asking the jury to consider whether or not the defendant physician, nurse, medical provider, hospital, or other institution was negligent and whether that is so considering all of the opinion testimony from qualified experts, evidence of professional standards, and evidence of rules, regulations, policies, and procedures that were presented in the case. The law does not say how a reasonably carefully physician, nurse, medical provider, hospital, or other institution would act. Any organ transplantation case, which may include the implanting of a heart, lung, kidneys, liver, pancreas, cornea, and other vital organs, must apply the applicable standards of care. In proving malpractice in a transplant case, it is good practice to examine the federal guidelines. In 1984, Congress established the Organ Procurement and Transplantation Network (OPTN), which created a network to be operated by a private not-for-profit organization under a federal contract. Tech: link Organ Procurement and Transplantation Network with: http://optn.transplant.hrsa.gov/. In the meantime, other not-for-profit organizations were created to supervise organ procurement. As in any transplant case, the professional negligence of the institution, physicians, and medical providers must be proved by a preponderance of the evidence. In the Doe v. University of Chicago Medical Center kidney transplant case the jury’s verdict in favor of the defendants was reversed because of a judge’s error in instructing the jury on the law. In another significant Illinois case involving the transplant of a heart, the patient died after an unsuccessful heart transplant. See: Longnecker v. Loyola University Medical Center, 383 Ill.App.3d 874 (Ill.App. 1 Dist. Jun 25, 2008), appeal denied, 229 Ill.2d 670 (Ill. Nov 26, 2008) The patient received a diseased “hypertrophic heart.” The transplant cardiologist made an evaluation based on the donor’s medical history and the results of tests to accept or decline the donor heart. If the heart was preliminarily accepted, the procuring surgeon then would go to the donor hospital where he or she opens the donor’s sternum and visually inspects the heart and feels it for defects. Next, the procuring surgeon makes the “final phone call” where he or she reports the findings to the transplant surgeon, who decides whether to accept or reject the heart. If the heart is accepted, the procuring surgeon “cross-clamps” the donor heart, cutting off the blood supply and flushes it with a preservative solution. The heart is transported to the hospital where the transplant surgeon, who has removed the patient’s “native” heart, transplants the donor heart. In the Longnecker case, time like any transplant case, is was of the essence. The organ bank in Illinois was a critical player in the heart transplantation. The donor was a 46-year-old male who was declared brain dead at another hospital. The donor’s family informed the Regional Organ Bank of Illinois (ROBI) that the donor smoked cigarettes, marijuana, and drank alcohol regularly, and that he may have used cocaine. The family also revealed that the donor was diagnosed with hypertension several years before. He was known to be “noncompliant” with treatment, meaning that he did not take his hypertension medicine as often as prescribed. The issue of proving medical negligence in Longnecker was whether or not the actions of the surgeons, the medical providers, the hospital, and its agents were below the standard of care based on the donor’s history. The “gold standard” test for left ventricle hypertrophy (enlargement of the heart wall) was an angiogram. The “gold standard” test for coronary artery disease (plaque in the arteries) was ordered by ROBI. The donor’s level of Tropanin, the indicator for damage to the heart muscle also was measured. The echocardiogram revealed the donor’s left ventricle measured 1.2 cm, revealing that he suffered from “mild” left ventricle hypertrophy. The angiogram revealed “mild” coronary artery disease. After all testing, the heart was preliminary accepted and a doctor went to the donor hospital to visualize the heart. He inspected the heart for congenital abnormalities and confirmed the findings of the echocardiogram and angiogram. That doctor stated at the trial that the heart looked good and suitable for transplantation. The doctor then cross-clamped the donor’s heart and removed it and sent it on to the other hospital for transplant. After calling in the results, the patient was put on bypass and his native heart was cross-clamped and removed. The doctors collectively agreed that the heart was suitable for transplant and the transplantation was performed. However, the patient died of acute myocardial infarction, with left ventricle hypotrophy being a direct contributing cause. The family’s lawsuit claimed that the doctors in the hospital were negligent. The doctor that visually inspected the heart of the donor testified that he was not trained to manually inspect the heart after removal. He was trained “to bring the organ as fast he could.” The trial court’s order granting the hospital’s motion to enter judgment in its favor notwithstanding the verdict (JNOV) was reversed on appeal because of the fact that there was an agency relationship with the doctor who approved the viability of the donor heart and the hospital. One of the key issues in these cases is whether there is vicarious liability of the hospital as an institution for the medical negligence of its agents or employees, the transplant surgeons and other health providers. The standard of care for a doctor is the same as it might be for an institution. Likewise, the concept of proximate causes is the same under professional and institutional negligence. The proximate cause element of a medical malpractice case, including transplant negligence must be established by expert testimony to a reasonable degree of medical certainty. As in all medical negligence cases, the elements of negligence must be proved in a transplant malpractice case. That means that duty, breach of duty, proximate cause, and damages all have to be proved by a preponderance of the evidence. Thus, convincing the jury or fact finder that these elements are more probably true than not true remains the plaintiff’s burden of proof. 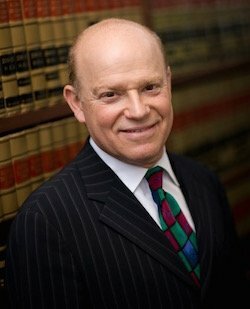 Robert D. Kreisman, and Kreisman Law Offices, specialize in handling all varieties of medical malpractice, birth injury, brain injury, cerebral palsy, pharmaceutical, anesthesiology errors, and nursing home abuse cases. The office also has represented clients who were injured in trucking crashes, forklift incidents, automobile accidents, and other personal injury and workplace injuries. Mr. Kreisman has authored several law journal and other articles on civil litigation topics. He is a member of the American Association for Justice President’s Club and a Diplomat member.